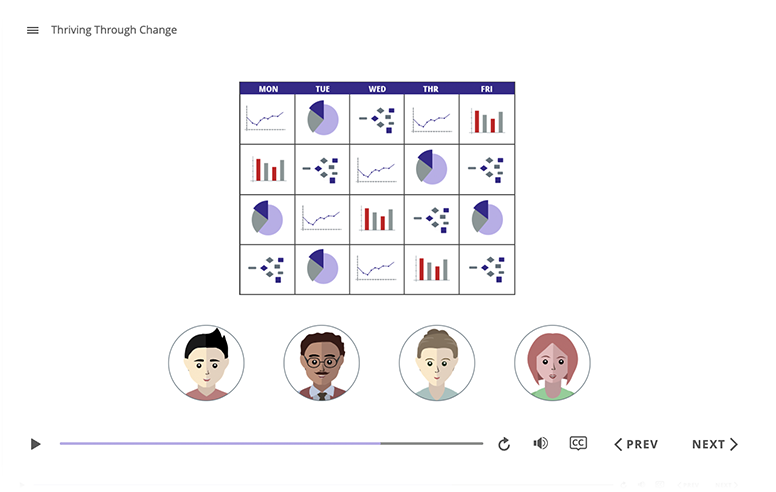 Engage in virtual experiences that supplement your change management training and help your team adapt to complex organizational change. By licensing our eLearning modules for your organization, you give your employees a library of knowledge they can access anytime. 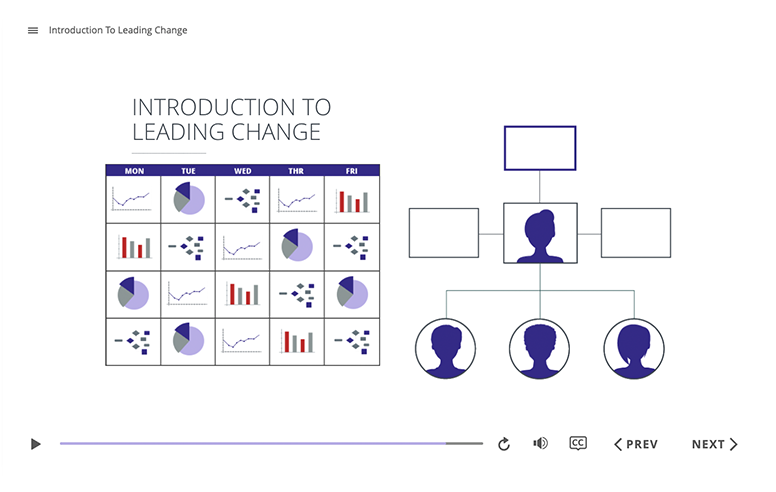 These modules help create a common language for change and allow you to scale your change management competency quickly and consistently. Prosci eLearning modules have been specially developed to accelerate your organization’s change management capability, whether you need specific support for certain roles or a wholesale boost to the change-readiness of your personnel. Our eLearning solutions are currently only available for licensing to organizations and groups. Spread change management competency from top to bottom and create a common language for change. Our modules are designed to promote change-readiness at a large scale, from project managers to front-line employees. Let your entire team experience the same change management modules or mix-and-match to equip key people with the training they need. Implementing new technologies, designing new processes, or reinventing your organization will never yield better results if you don’t take care of the people side of change. 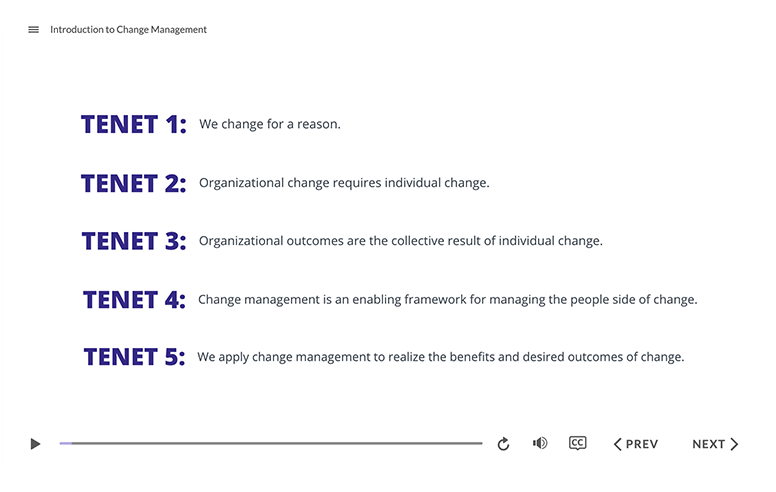 This module walks you through why change management matters and what makes the Prosci experience so effective. 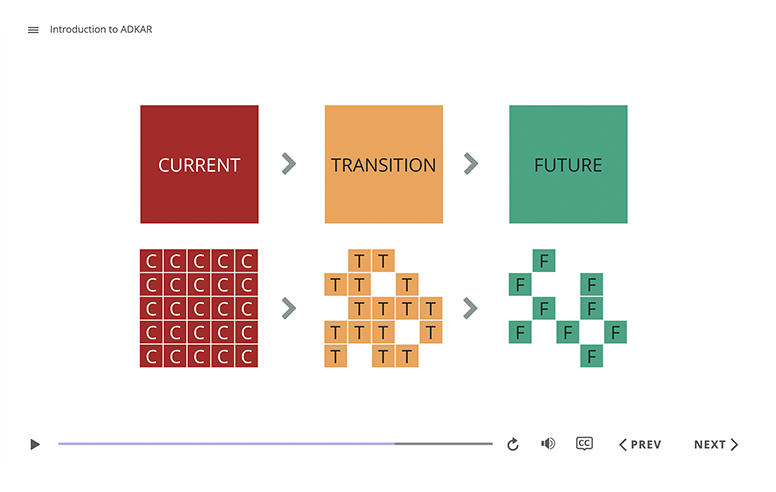 This module helps everyone affected by change create a common language for that change. You’ll find common ground by applying the ADKAR Model to a current organizational change and undertaking specific, actionable steps to overcome your challenges and realize your goals. We know that managers are essential for driving organizational change. 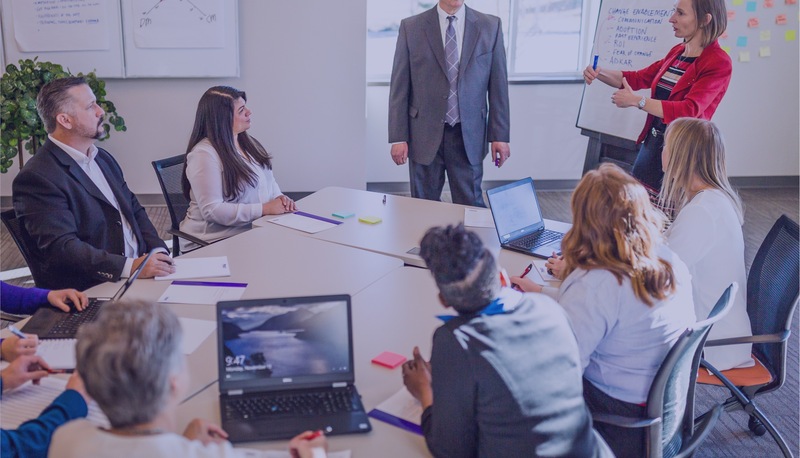 That's why this learning experience addresses a specific change happening in the workplace and introduces managers to the five research-based roles they need to fulfill to lead change in their employees. Organizational change is only as effective as your employees’ ability to adapt. This module helps your front-line employees navigate change, explore their emotional reactions to change, and experience the benefits of change using specific examples from your workplace. 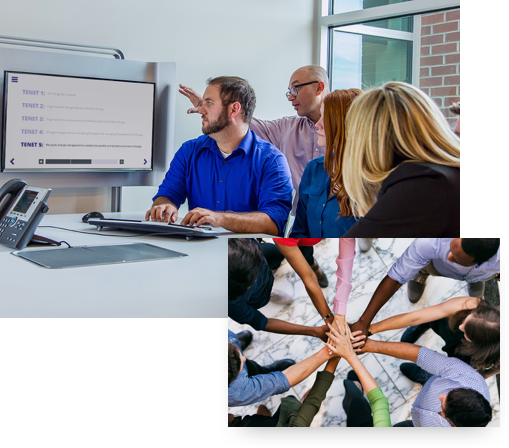 Prosci has been instrumental in supporting our efforts to build a full enterprise change capability: including structure, training, tools, and advisory services support. Most importantly, they have helped us set a strategy and roadmap that we can use for years to come.